My mum's rasam is very famous dish among our family members. 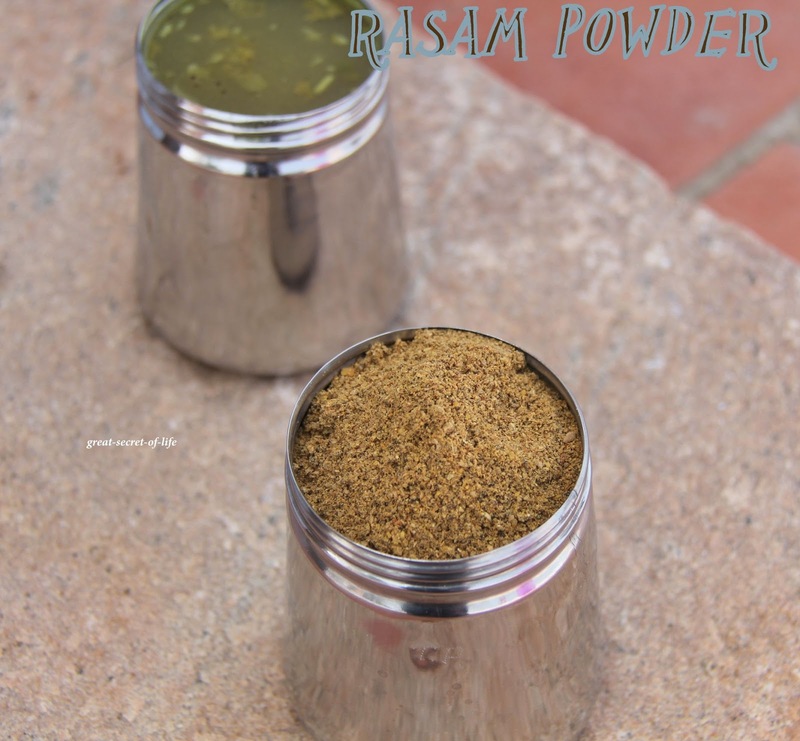 Normally I make Rasam with pre grinded rasam powder. This recipe is from my mum. 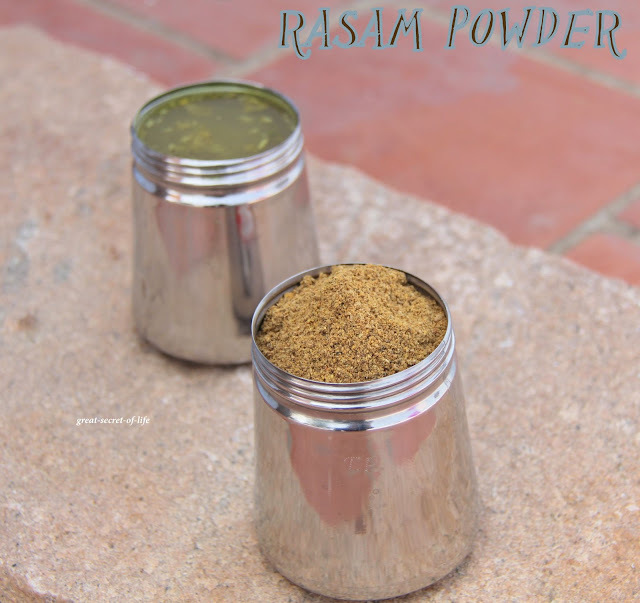 nice flavors and sounds tasty..
Don't know what rasam is...is it a rub? Homemade is the best with nice flavour. I cant live without this rasam podi,my pantry will always have it. Rasam is my favorite, that too with homemade powder is awesome. Must ingredient for daily cooking. worth doing it. Great job. adding rice to this is new for me. Luv to have it any time. Number of chillies in the photo looks less compared to the quantity specified in the actual recipe.. And the color of the powder also looks not reddish.. Did u put less chillies while making the powder?